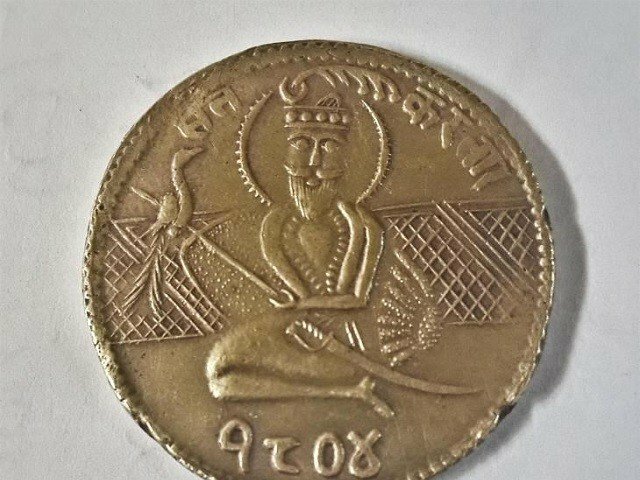 LAHORE: A special coin will be issued to mark Guru Nanak Devji’s 550th birthday in November, as reported by a local media outlet. This was mentioned by the Federal Minister for Religious Affairs and Interfaith Harmony Sardar Muhammad Yousuf while addressing the closing ceremony of the Baisakhi festival at Gurdwara Punja Sahib in Hassanabdal on Saturday. He further said that the coin will be issued during special birthday celebrations will take place in November. The Baisakhi festival marked the final day for the three-day event, for which pilgrims from all over the world, including India, participated. Guru Nanak Devji is respected all over the world by countless people; this land belongs to Nanak, he emphasised. Pakistan is a country of peace and security, where minorities are given freedom and the awarded the ability to exercise their rights, he said.